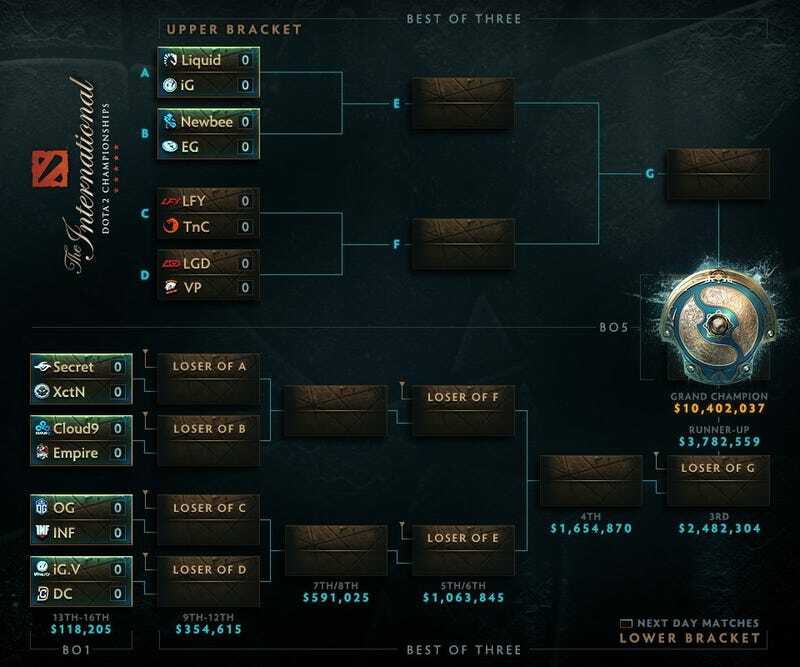 The main bracket for The International 7 has been set after four days of group stage Dota 2 play. The main bracket for The International 7 has been set after four days of group stage Dota 2 play. HellRaisers and Fnatic were eliminated, leaving 16 teams to fight for a grand champion prize of over $10 million.